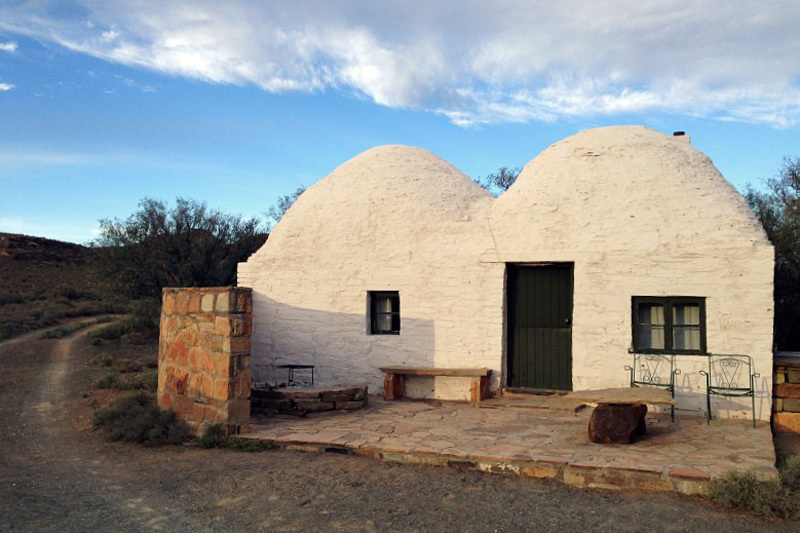 The Northern Cape is home to these idiosyncratic beehive stone dwellings, built by early pioneers to the area who, without access to trees, were forced to think out of the box when it came to their homes. A couple of farms, including Osfontein Guest Farm, have repurposed these as self-catering accommodation. Book Now. Scientists think this huge baobab tree is about 6000 years old. Standing proud at about 20 metres high and 33.4 metres in circumference it is so large that a small pub has taken up residence inside (baobab trunks are naturally hollow). Find Sunland Big Baobab on Leeudraai about 6 km from Modjadjiskloof in Limpopo. 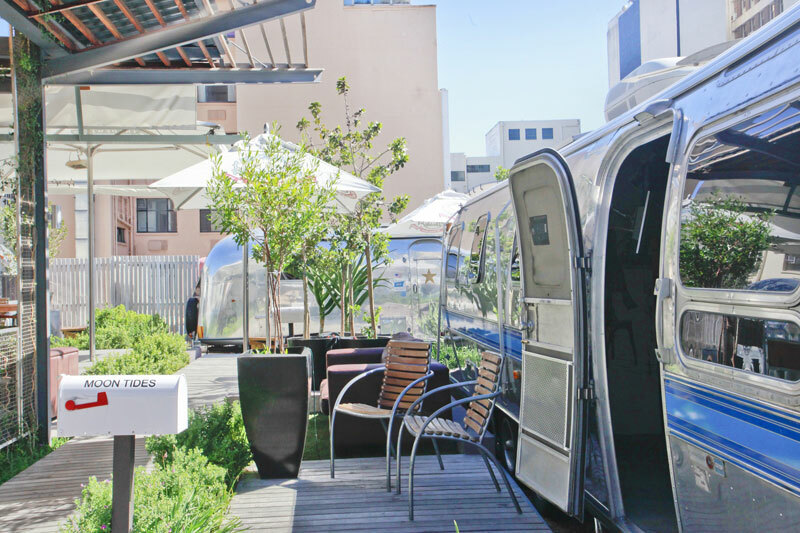 On the roof of one of Cape Town’s most fashionable hotels on Long Street – the Grand Daddy – you’ll find accommodation in a penthouse rooftop trailer park. Seven unique airstream trailers against the backdrop of Table Mountain make ordinary suddenly seem so, well, ordinary. Book Now. Kimberley is not on the average tourist’s itinerary, but it should be, for the Big Hole Museum is so much more than its huge man-dug diamond excavation site. Not that the incredible crater is not worthy of a good few minutes gaze, but the museum’s world-class history displays, the introductory video, and the chance to see real diamonds, makes a visit imperative. 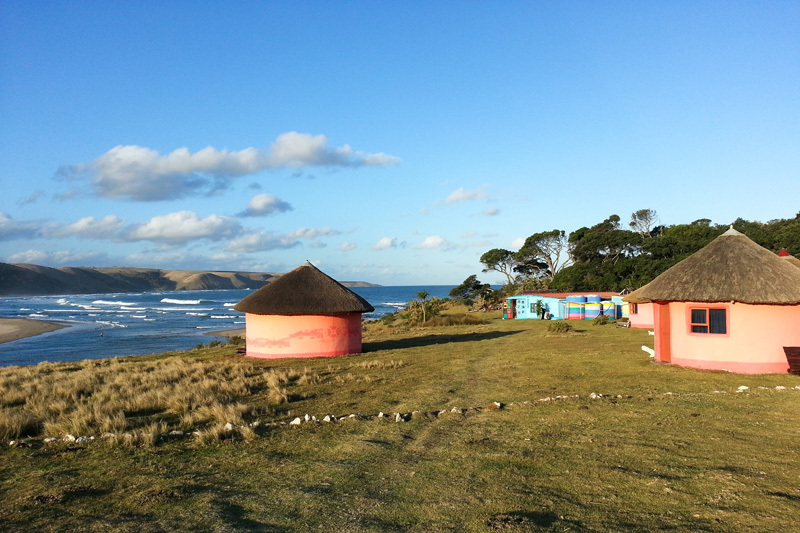 The two-hour dirt road trek to reach this collection of thatched rondavels overlooking the sea, the river and surrounding hills, will soon become but a faded memory once the Wild Coast and the Xhosa hospitality (Bulungula is a community-owned initiative) begin to work their magic. Another community-owned initiative, this time in the hinterland of the Kalahari, Riemvasmaak (the name is a long story about rheumatism and leather strips; someone will relate it to you) is where you stay in amongst granite canyons whilst bathing in natural hot springs. 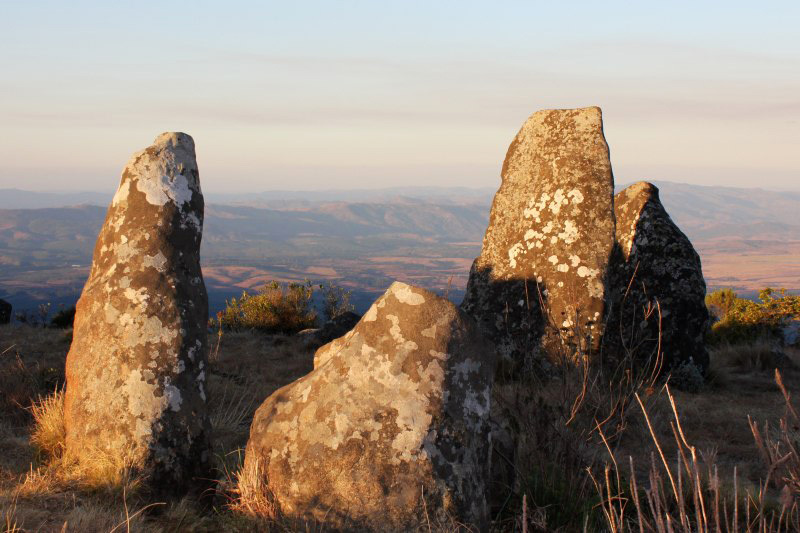 Adam’s Calendar, up on the plateau just outside the little village of Kaapsehoop in Mpumalanga, is sometimes called the ‘African Stonehenge’, and claims to predate its namesake and the Great Pyramid of Giza. However old it is the story behind it, as told by Tellinger and his guides, is well worth a listen for its fascinating content. The West Coast National Park’s Langebaan lagoon is home to a number of houseboats for hire. These turquoise waters are perfect for swimming and fishing. And if Langebaan doesn’t grab you try the houseboats on Lake Jozini (KZN), the Breede River, or the Vaal River. The Nama Riel, a feature of the Williston Winter Festival, is a highlight of the upper Karoo. 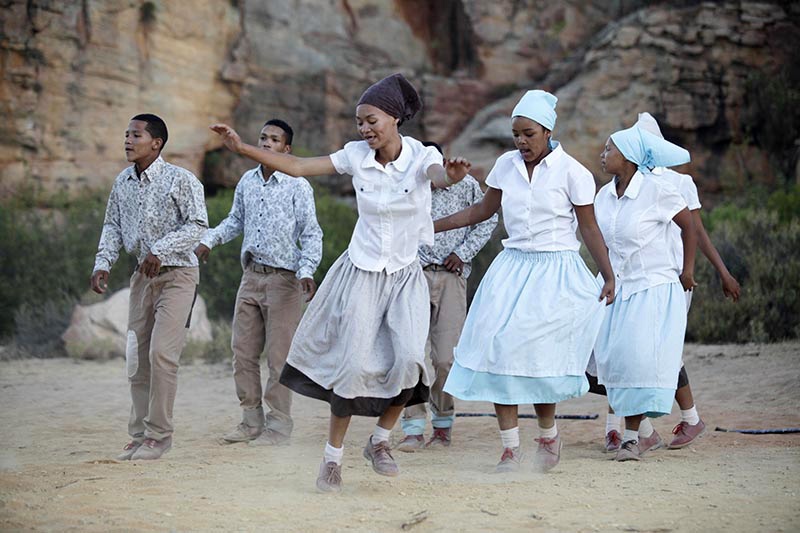 This energetic soft-sand dance is the Northern Cape’s answer to the Scottish jig, only with a lot more vooma. Journalist Chris Marais aptly describes it as ‘a cactus tango or a dusty Jitterbug’. However you interpret it, this ‘stomp the yard’ performed by farm workers and sheep shearers will get your feet tapping! The farming community village of Loxton, deep in the upper Karoo, trades in goats cheese and sheep and is unusually attractive in its own right – step into the Rooi Granaat and we promise you’ll stay, at least, for brekkie – but just outside town is a Bavarian-style castle guesthouse on the farm Kasteel (kasteel is Afrikaans for castle). 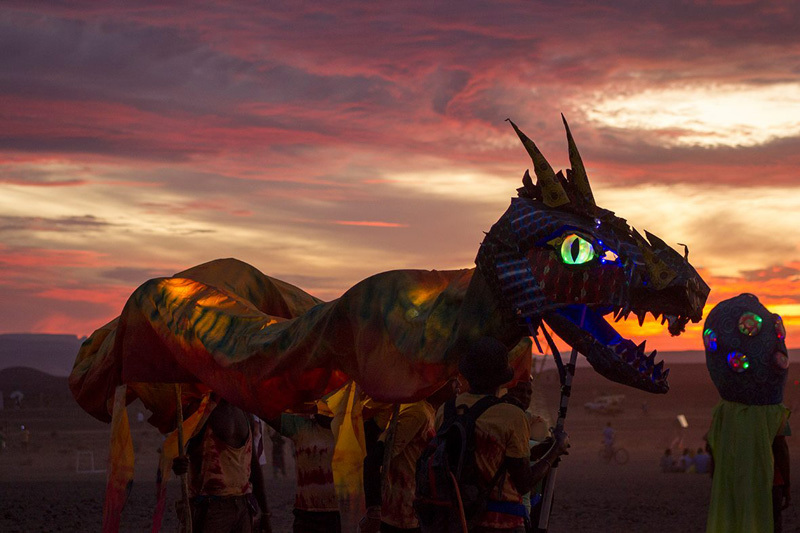 South Africa’s Karoo version of America’s Burning Man is a five-day annual gathering in the middle of the Karoo; an experiment in temporary community building, self-expression and non-commercialism. The aim of the event is to build temporary artworks that are then burnt towards the event’s end. It’s been described as ‘life-changing, mind-blowing and self-altering’. There is plenty to do above ground in South Africa’s Mother City, but did you know that you can head underground into a collection of tunnels of a long-abandoned canal system built by the Dutch way back in the 17th century that channeled fresh water off the mountains and out to sea? Contact the Castle of Good Hope for details. 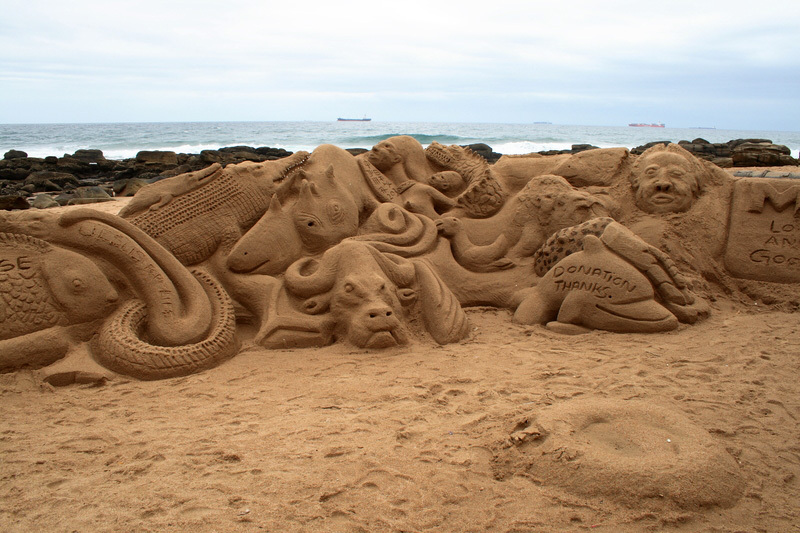 A series of lifelike sand sculptures appear daily on the edge of the sand of Durban’s beaches along its Golden Mile. These incredible sculptures attract regular attention, and form part of Durban’s vibrant informal economy – the sculptors hustle for donations, although they must buy monthly permits for the right to build there. Port Elizabeth’s art collective, 4 Blind Mice (Conquerors of eyeballs, Kings of Istanbul), are muralists. Originally commissioned to paint a mural at a bus stop, the team of five paint art in places few artists would consider as a canvas. Seek their murals at the Aztec Kitchen, the Norwich bus station (Route 67) and across from the old tramways building, underneath the highway, where they’re busy working on the Know Your Bay campaign for WESSA. For unique inner city walking tours of Johannesburg contact the company Past Experiences. 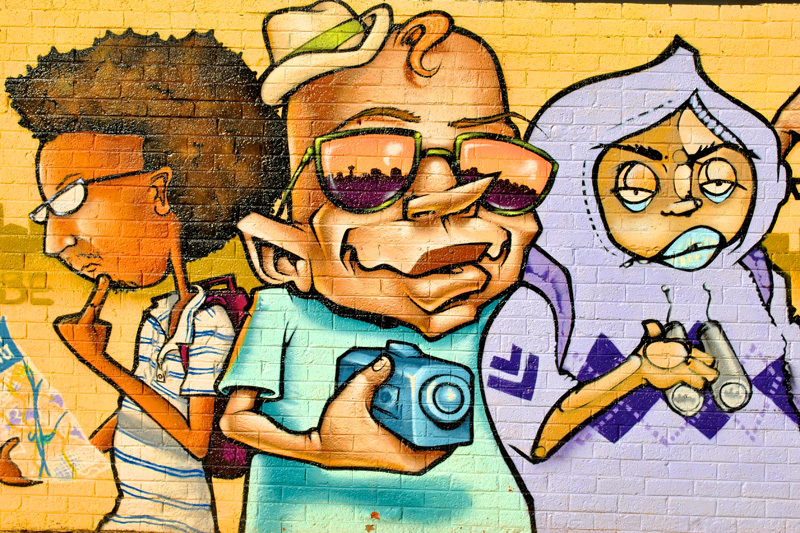 Choose from Naming Jozi Tour, I love Shopping Tour, I love Newtown Tour, Creative Jozi, Ka’Ching Tour, Spicy Fordsburg Tour, Mandela’s Jo’burg and others, including a graffiti tour and workshop. Call them on +27 (0)11 678-3905. An old cement factory in Philippi has been repurposed into an entrepreneurial and recreational/retail hub. The Hub of Philippi Village is already up and running with the Department of Coffees, a city library, a pre-primary school, Abalimi Bezekhaya, an education zone and a bakery, amongst others, in residence. Still to come is a hotel, nightclub, and private hospital. Down one side of the village is the colourful Container Walk, over 120 shipping containers open for retail and small business – get anything from a haircut to fish-and-chips – a unique shopping experience. What have we missed? Please let us know in the comments below.